As the Super Bowl approaches, football fans from all over anxiously await the big game. The next day, everyone will be talking about the game – but even more so, about what happens after the first half. Every year, the Super Bowl delivers a spectacle for the ages with flashing light shows, exploding fireworks, and superstar performers. The halftime show is like a gripping drama in its own right. No matter what happens on the field, some aspect of the Super Bowl halftime show is guaranteed to be one of the most memorable moments of the night – for better or for worse. Here are the 35 moments that top all the rest. 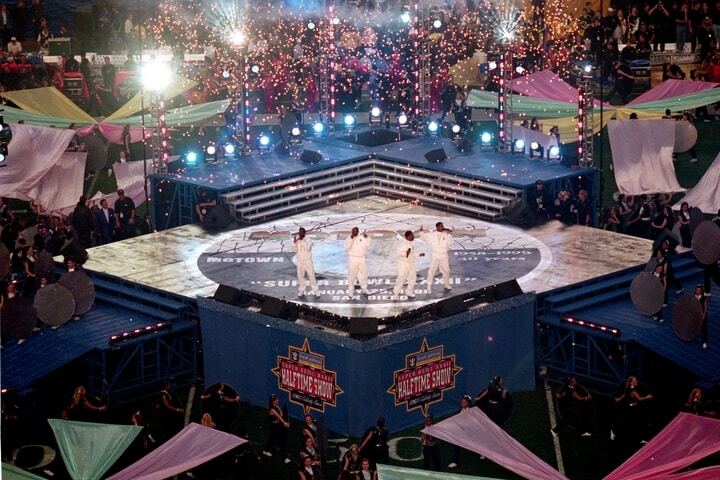 MTV took over the Super Bowl halftime show in 2001 and it did not disappoint. The star-studded lineup consisted of Aerosmith, Britney Spears, *NSYNC, Nelly and Mary J. Blige. But another cast of stars was also on hand to keep all those egos in check. Enter: Ben Stiller, Adam Sandler, and Chris Rock. 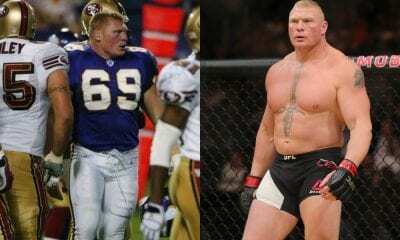 There have been many hilarious Super Bowl halftime moments, but this is probably the only intentionally funny one. Hats off to Stiller, who has managed to play various forms of this mustachioed hype man for nearly three decades. After losing out on a ton of viewers during 1992’s halftime performance, the NFL really went the extra mile the following year. The league needed to make sure that the break featured a hallmark performance worthy of holding viewers’ attention. Michael Jackson didn’t just deliver, he went above and beyond. MJ flashed his magic wand and the whole stadium raised placards of giant kids in the crowd. 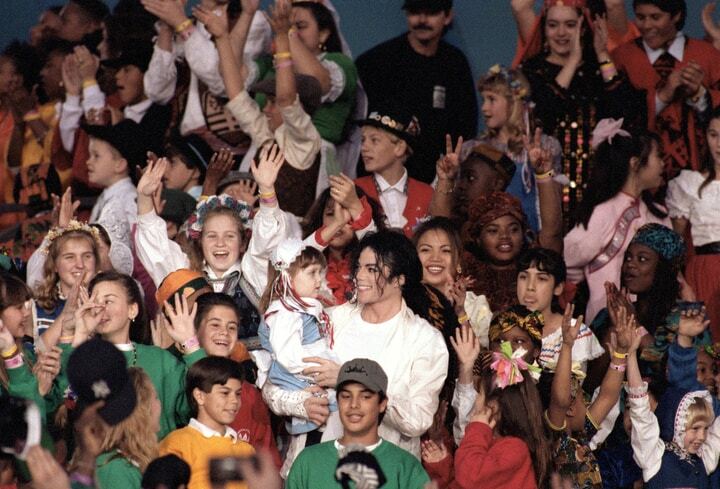 Jackson delivered an intense speech about coming together to make the world “a haven of joy.” He then broke into his song “Heal the World” – and suddenly he was magically surrounded by a children’s choir dressed (if somewhat stereotypically) to represent cultures from around the world. 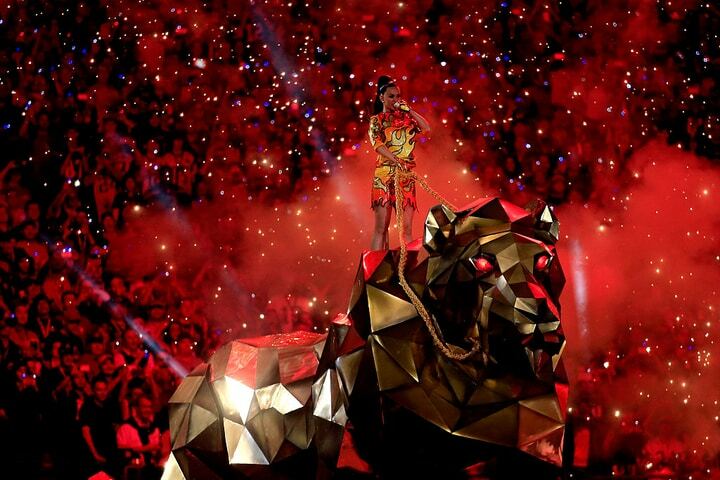 Leave it to the Queen of Pop to make an entrance worthy of real-life royalty. 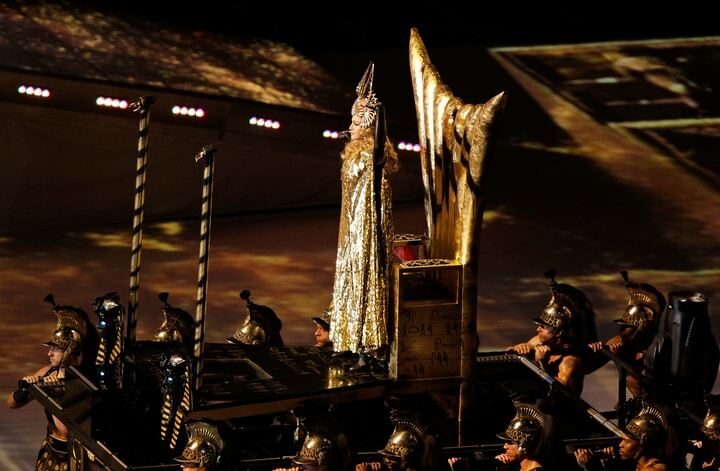 Madonna’s entrance to the 2012 Super Bowl halftime show was filled with all the excess we love her for, as she channeled Cleopatra. This entrance was vintage Madonna. In a larger than life intro, a fleet of shirtless, super-jacked (for the Super Bowl, of course) gladiators carries Madonna to the stage. She then breaks into “Strike a Pose” with some wild Egyptian flare. Now that’s a queen who knows how to rep royalty. Coldplay must have really been banking on football fans watching the game on incredible HD televisions, because holy color bomb… This Super Bowl halftime show was an explosion of brightness. To kick off the show, the whole crowd held up colored placards that mimicked a sunrise. Everyone from Beyonce to Bruno Mars joined in. By the end of the show, Coldplay was surrounded by dancing flowers and a blinding display of color. 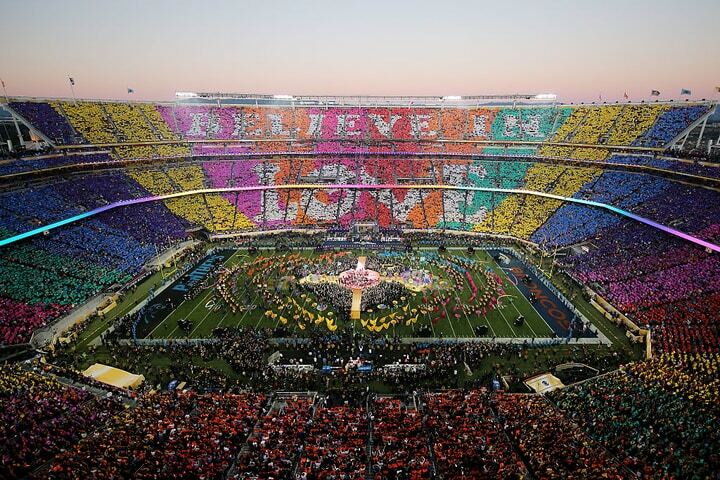 The audience’s cards spelled out ‘Believe in Love’ in a full rainbow array of hues. As far as headliners go, Coldplay’s actual performance was… meh. But their excessive use of ROY G BIV still wowed viewers with a visual workout for the eyeballs. There’s no nice way to put this: Super Bowl XLVIII sucked. The meeting between the Seattle Seahawks and the Denver Broncos was as lopsided as it gets. By game’s end, the Sehawks had shredded both the Broncos’ defense and dignity, winning 43-8. Even though it was already a 22-0 blowout at the half, Bruno Mars did what he could to salvage the night. What can’t Bruno Mars do? He can sing, dance, and apparently, drum like a madman too. After a children’s choir sang an intro, he appeared in front of an explosion of fireworks while hammering away on the drums. Bruno Mars packed more energy into that epic minute-long solo than Denver offered in 60 minutes of action on the field. It’s easy to forget that anyone other than Janet Jackson and Justin Timberlake performed at the 2004 Super Bowl halftime show. It was a weird, but memorable, year for sure. Two other 2004 performers were P. Diddy and Kid Rock. With these two musical polar opposites appearing back-to-back, it was bound to be a show to remember. After Diddy closed out his stage time with “Mo Money Mo Problems,” viewers were treated to a Kid Rock “Bawitdaba” intro. Decked out in a fur coat, glammed up with Cowboy lettering on the back (because he’s a cowboy, baby) and an American flag poncho underneath, the country/hip-hop bad boy was only upstaged by his outfit. Of course, this is just one of many memorable Super Bowl halftime show outfits. Goodness gracious great mother of glitz and glam, CeeLo Green truly outdid himself this time. If there’s one thing CeeLo is known for outside of music, it’s his jaw dropping outfit choices. The man looks like he lost a game of truth or dare almost every time he steps onstage. His lewk for the 2012 Super Bowl halftime show was no exception. After shedding his marching band uniform, CeeLo joined Madonna for “Like a Prayer.” He donned the most outrageously sparkly muumuu cassock the football gods have ever seen. As he and Madonna rise up on a platform with a full church choir behind them, even Madonna can’t help but kneel to the otherworldly outfit. Well, this is it. This is how the world will end. Lady Gaga’s 2017 Super Bowl halftime show was a performance for the ages. Yet, one of the show’s most memorable moments had nothing to do with the Princess of Pop’s pipes. While Gaga stood atop NRG Stadium, a full army of drones flew in the background. What began as a starry night backdrop suddenly changed colors and flew into formation, creating an American flag. The drones then morphed into the logos of sponsors Pepsi and Intel. Even though the drones were recorded prior to the game, the aerial demonstration was impressive. And a little creepy too. So the 2017 Super Bowl halftime show was a sneak preview of the end of the world. Good to know, Pepsi. 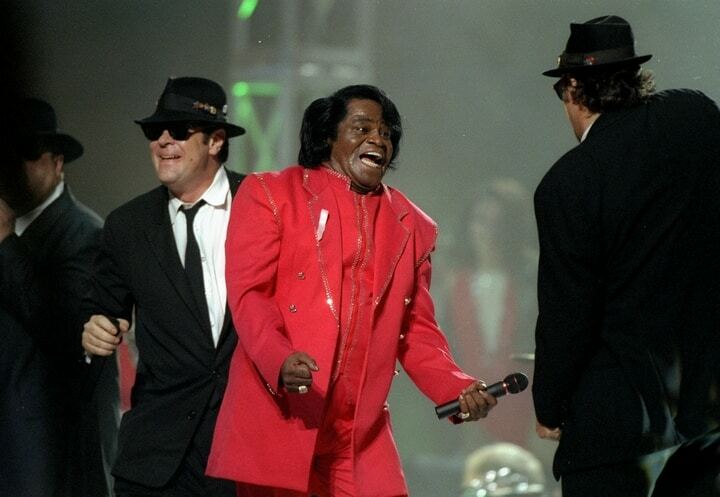 Although it was probably (definitely) just a ploy to hype the upcoming “Blues Brothers 2000” film, the 1997 Super Bowl in New Orleans was a fitting host for the Blues Brothers and James Brown. Of course, Jim Belushi had to step in for his late brother John, but in a weird way, it added to the ’90s nostalgia factor. Okay, it wasn’t a particularly well-planned set list or impressive performance, but it was uniquely memorable. Thankfully, Brown’s back didn’t go out on him at any point. There was already enough tragedy leading up to the show. The year after one of the most infamous television moments of all time (which you can bet makes this list), the NFL wasn’t taking any risks with the Super Bowl halftime show. They booked a solid, safe choice with a solo performance by the legendary Paul McCartney. TBH, it wasn’t exactly a thrilling show. 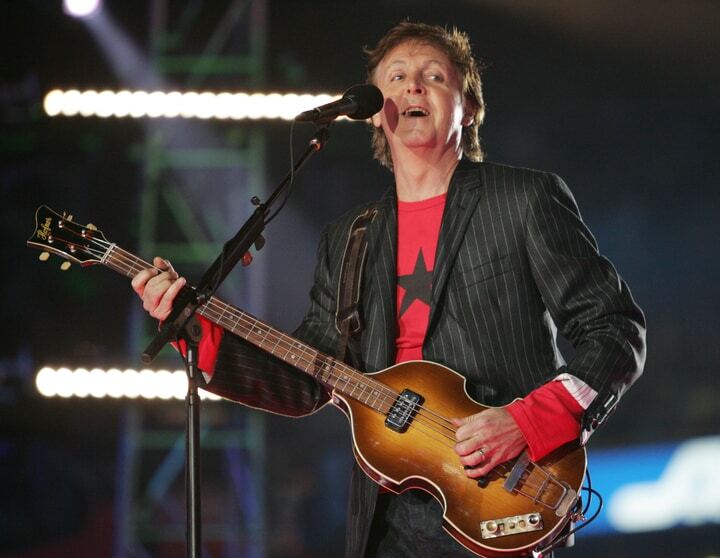 A 63-year-old musician, even Sir Paul, can only do so much… But, he did bring the hits like “Live and Let Die.” And anyone who didn’t get goosebumps when the entire crowd sang all of the na-na-nahs during “Hey Jude” just isn’t human. Fans who claim that The Who didn’t phone it in during their 2010 Super Bowl halftime show needs to check their bias at the door, look in the mirror and accept reality. 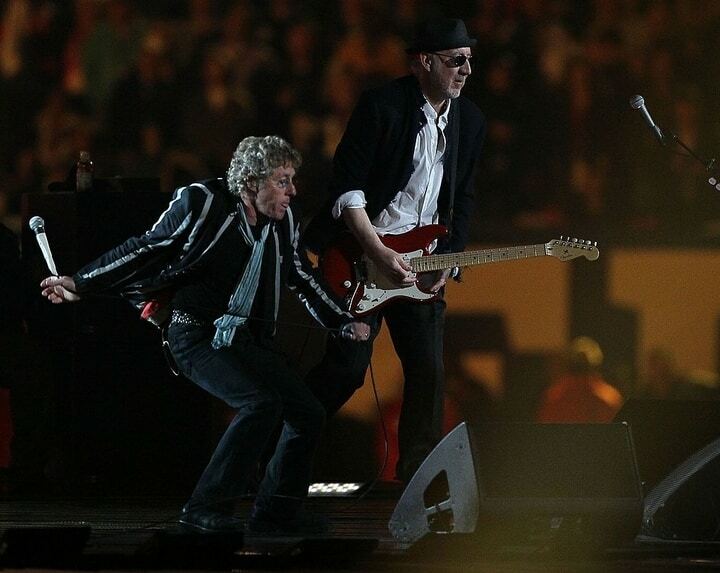 The Who performed Super Bowl XLIV like it was an extra tour stop squeezed between two major cities. Lack of energy aside, The Who is among the biggest rock groups in the world who have graced the Super Bowl stage. The spectacular light show did partially make up for The Who’s geriatric woes. In fact, the show was a trailblazer of sorts for more crazy light shows to come. Light guy, you da real MVP. 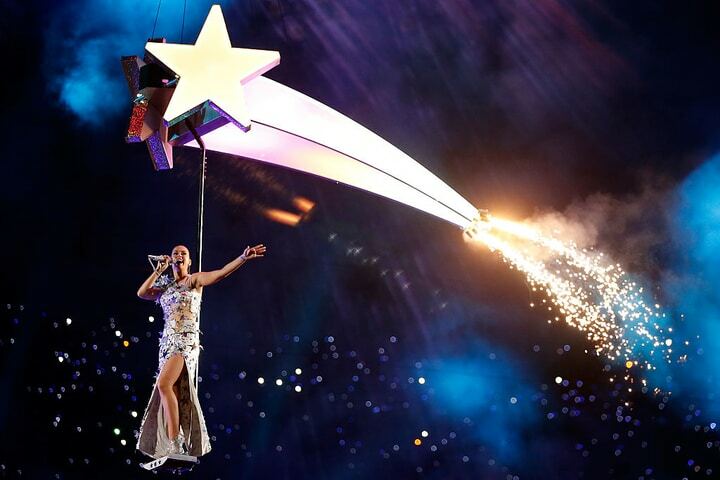 Katy Perry put on a SHOW in 2015. Even the staunchest opponents of halftime theatrics stayed glued to their seats throughout KP’s epic performance. Perry herself is easy on the eyes, but the eye candy didn’t stop there. Her Super Bowl halftime show was nonstop sweetness for viewers, with plenty of outlandish visuals. Forget riding off into the sunset on horseback. 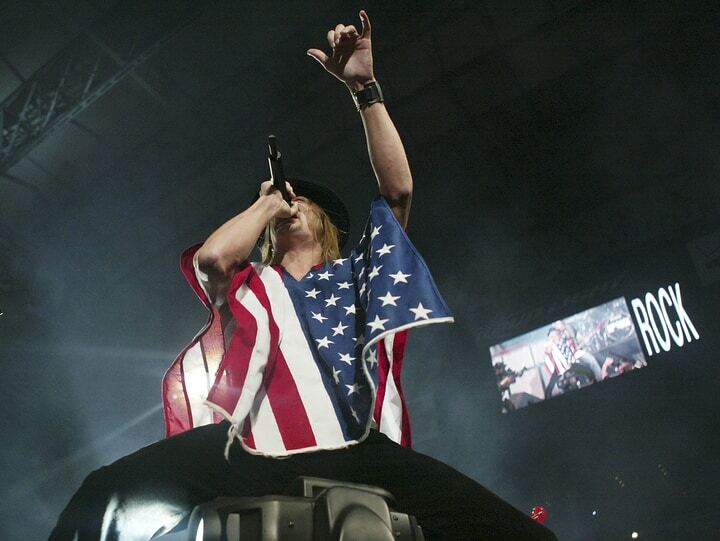 A larger-than-life performance needs an epic outro, which Perry’s exit certainly was. The pop star ended her set with her smash hit “Firework.” Fitting, since that’s exactly what she left on. Bonus: Perry turned herself into a real-life meme as she embodied NBC’s “The More You Know” PSA campaign. Normally, losing viewers to a rival network’s counterprogramming is bad news for a TV station. But Gloria Estefan should be grateful that some 22 million viewers were lured away from her 1992 Super Bowl halftime show when Fox aired a special In Living Color at the same time. Estefan’s bizarre, Broadway-esque performance seemed to neglect the fact that Christmas had happened two months ago. Regardless, Estefan starred in a highly questionable ode to the Winter Olympics, singing Christmas classics like “Walking in a Winter Wonderland” and “Dance of the Sugar Plum Fairy.” Even Santa was asking the NFL to chill on the holiday spirit after that one. The number of imaginative characters and stories that Disney has brought to us over the years is truly remarkable. It’s equally astounding that, despite the numerous times The Walt Disney Company has dipped its hand in Super Bowl halftime shows, many have been awful. Phil Collins, Christina Aguilera, Enrique Iglesias and Toni Braxton headlined the show in 2000. Inexplicably, Edward James Olmos narrated the show, perhaps to add a little more star power. The most impressive part? Despite the celebrity cast, not a single note of any hit song from these musical heavyweights was played. The audience was left with three burning questions: Who chose the setlist? Could Olmos have looked anymore awkward standing still, narrating on stage? Why was Phil Collins allowed to dress himself in cargo pants? The mere whisper of Beyoncé’s name is enough to sound any crowd into a frenzy. When Queen Bey took over the Superdome during Super Bowl XLVII’s halftime, the madness reached new heights. Not only did Beyonce grace the stage with some of her greatest hits, she did it with two very special guests. Kelly Rowland and Michelle Williams joined Bey onstage to deliver the R&B Holy Trinity – Destiny’s Child. They didn’t skip a beat, kicking things off with “Bootlyicious.” The rest, well, the rest is just a blur. One big beautiful blur of melody. Coming up soon, B has another big moment when she re-appears on the Super Bowl stage three years later! On the ladder of lame tongue-in-cheek puns, sexual innuendos barely make it past the first rung. Unless the person busting out the immature move happens to be the musical royalty that is Prince. As much as Prince is a symbol of pop/funk, he’s known just as much for rocking the bed sheets. Prince gave football fans a real “show” in 2007, as he broke into a long solo behind a curtain. 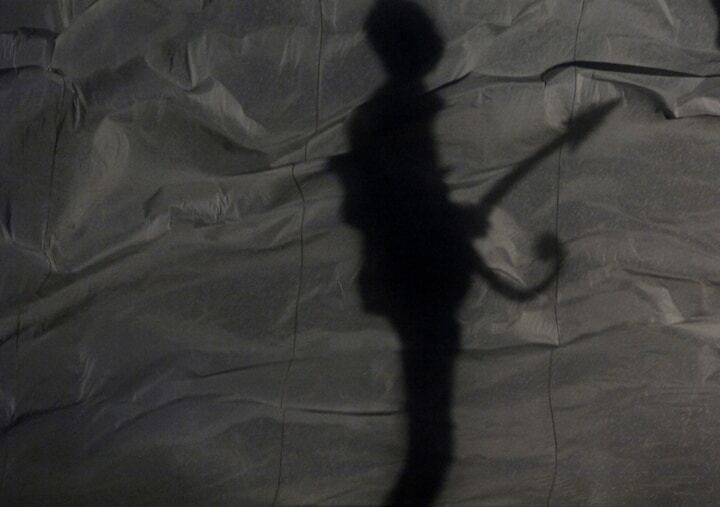 The exaggerated shadow allowed Prince to rock his iconic guitar in the form of what appeared to be a more phallic instrument. When we get Prince in the sheets, can we really expect anything less? Identifying the Super Bowl XXIX halftime show theme as Indiana Jones is straightforward enough. However, this was 1995 – six years after the third film and 13 years prior to the fourth. At first, identifying the reason for the theme is definitely a headscratcher. Oh wait, Disneyland was about to debut “Temple of the Forbidden Eye,” a new Indiana Jones attraction. Ahh, there it is. Nothing like some good ol’ fashioned shameless self-promotion. Take it away, Disney. The show was actually highly entertaining. From Indy parachuting in to snag the trophy and save the day, to Patti LaBelle and Tony Bennett belting out hits, there was no shortage of energy. By far, the best moment comes in the opening scene. An actor’s melodramatic “Bring to me, the trophy!” line is followed by the most apathetic expression imaginable. Bra-vo. Nothing but the good stuff. It isn’t often we actually get things that way, but man is it good when we do. Tom Petty & The Heartbreakers delivered in 2008, giving the people what they wanted with all of his mega jams. The set list could not have been any more perfect: “American Girl,” “I Won’t Back Down,” “Free Fallin,” and “Runnin’ Down a Dream.” Tom Petty is one of the real ones, an OG of rock n roll, whose music has stood the test of time. 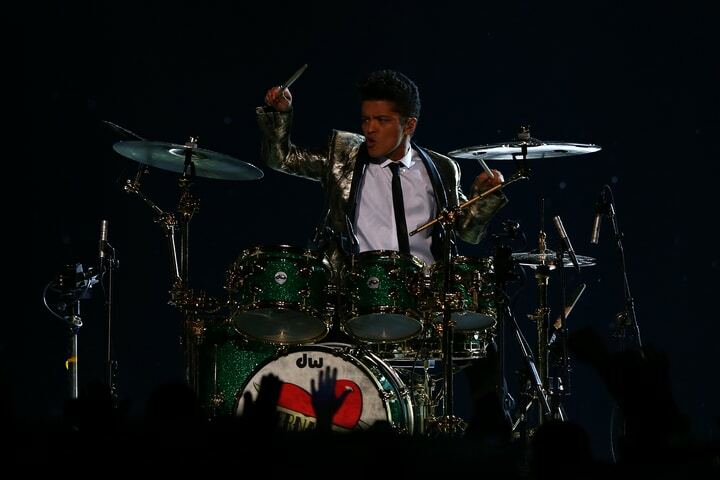 His Super Bowl halftime show exemplified a knockout performance. 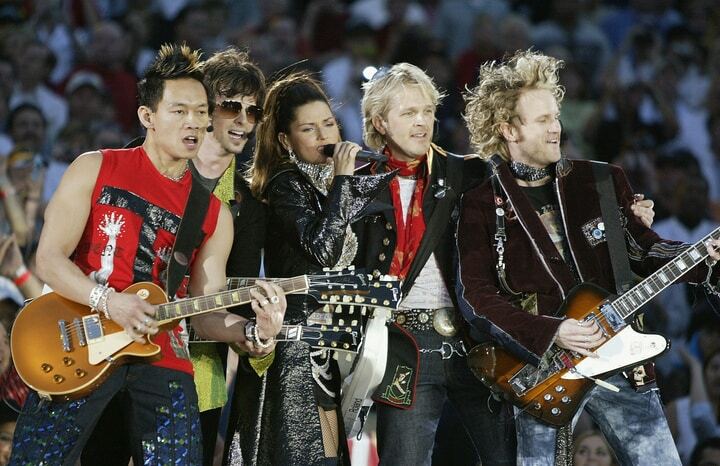 There were a lot of legends onstage in San Diego for the Super Bowl XXXII halftime show. The theme was a salute to Motown’s 40th anniversary, and the NFL brought in some heavy hitters to rep the record label’s landmark anniversary. The Temptations, Smokey Robinson, Queen Latifah and Boyz II Men all belted out great jams that reminded us how infectious Motown really is. Unfortunately, while The Temptations and Smokey Robinson’s voices aged like fine wine, Martha Reeves rained on the Motown parade with a voice that had aged like bread left out in the sun. Bruno Mars was so fired up in his 2014 Super Bowl halftime show that he may as well have just shot himself out of a cannon. After flaunting his talent, rocking out and dancing like a madman through his first few songs, he was joined by the real-deal crazy energy of the Red Hot Chili Peppers. The artists jammed out to the RHCP classic “Give It Away” and seriously left it all out there. Leave it to the rock stars to go shirtless while the rest of the stadium wears three layers of winter clothes. A+ for halftime outfits all around. Shania Twain kicked off her Super Bowl XXXVII halftime performance with a boisterous “Let’s go football fans!” Granted, that line was definitely the only thing that she actually said live, but lip syncing is all the rage now. Unsung hero of this halftime: the keytarist. Everyone loves an artist who can shred some good licks on the keytar. The amount of star power packed into the lineup for 2001’s Super Bowl halftime show was dizzying. Britney Spears, *NSYNC, Aerosmith, Nelly and Mary J. Blige. It’s hard enough to mentally prepare for these superacts to perform one after another… but seeing them all take the stage at the same time was almost indescribable. Aerosmith closed out MTV’s extravagant talent show with the weirdest “Walk This Way” performance of all time. The artists all gathered onstage for a bizarre rendition of the rock anthem. At this moment, there was more shiny fabric, skintight pants, and bleached hair packed onto the stage than in the rest of the country combined. Even when Madonna isn’t causing some sort of controversy, she still finds a way to be a part of it. Her 2012 Super Bowl halftime show featured Nicki Minaj and M.I.A. with their hit, “Give Me All Your Luvin’.” While Madonna stayed on her best behavior, M.I.A. simply could not allow such a travesty of appropriateness go on. After Minaj crushed her part, M.I.A. 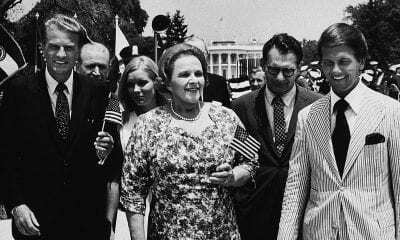 got her one-on-one time with the camera and used it to flip off America, making up for the edited version of her line. Nice. NBC was not amused and tried to blur it out, but the attempt was comically late. Thanks a lot, M.I.A. This is why we can’t have nice things. Every second of the scene was mind-blowing. Perry showed off her impressive pipes, standing on a lion over 20 feet tall… all while rocking heels! Then, the insane intro transitioned into a mind-melting performance of “Dark Horse” on a chessboard. Clearly, KP’s pun game is next-level. 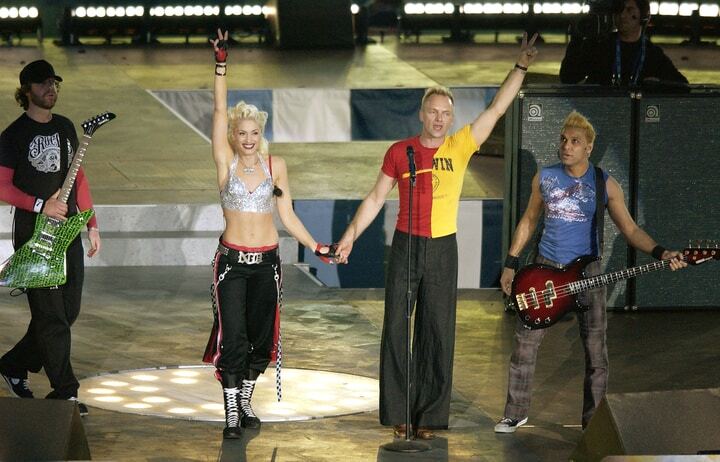 When No Doubt burst onto the stage to follow up Shania Twain’s performance with “Just a Girl,” the crowd went into a frenzy. The group was arguably at the height of their fame in ’03, riding the success of their album, Rock Steady. As if No Doubt wasn’t exciting enough, Sting joined in to sing “Message in a Bottle.” It was (and still is) the perfect jam for every generation. 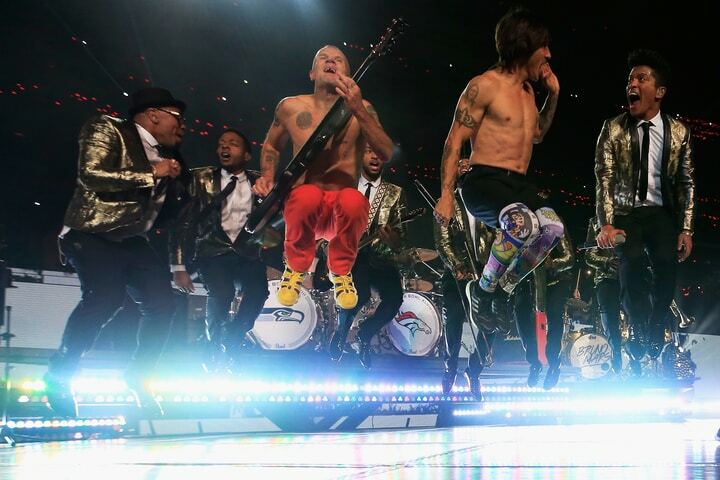 The moment made for a perfect, crowd-pleasing Super Bowl halftime show. Read on for more fan favorite performances. Okay, let’s just go ahead and get the bad out of the way first: The Black Eyed Peas put together one of the worst lip syncing performances of all time in 2011. Ashlee Simpson’s SNL gaffe was less obvious than this weak pass at “live” music. Even that was preferable to the Peas’ excessively auto-tuned sound, but not all was lost! While The Who had ushered in a new era of stage lighting one year prior, this show completely changed the game. This Super Bowl halftime show featured futuristic light-up outfits, dancers glowing in the dark, flashing bulbs, and CGI display. Hopefully, the person responsible for this light display got a big raise for distracting the audience from the worst lip syncing in history. The NFL has become nearly synonymous with patriotism for its many salutes to service throughout each season. So it was fitting when U2 took the opportunity to pay tribute to the victims of the September 11 terrorist attacks during the halftime performance at Super Bowl XXXVI. U2 played hits like “Where the Streets Have No Name” in front of a backdrop that displayed names of those who had lost their lives in the attacks. 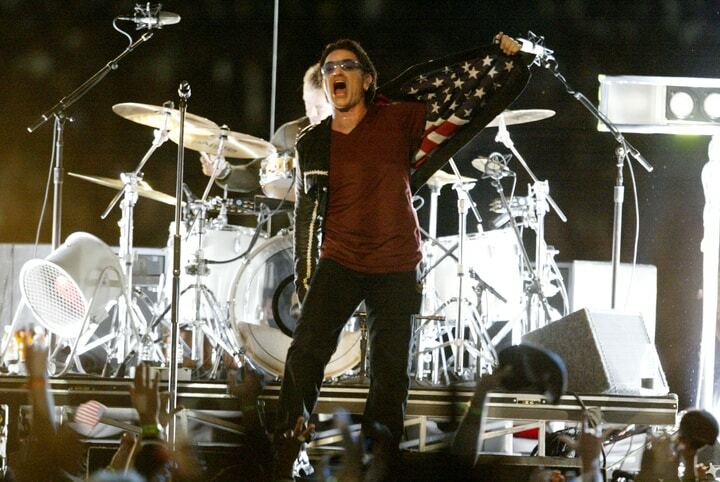 It was a stirring performance full of Patriotic details, right down to Bono’s American flag jacket. Anyone who audaciously claims “I tripped, and it was so cool” instantly loses all credibility. But, change the “I” to “Beyoncé” and that opinion becomes a universally acknowledged fact. For the skeptics out there, Bey proved that the impossible is commonplace in her world during this memorable moment. The fact that this fabulous Beyoncé moment happened during her second Super Bowl halftime show is itself worthy of applause. But almost falling backwards (in heels) and turning it into a fierce dance move deserves a standing ovation. 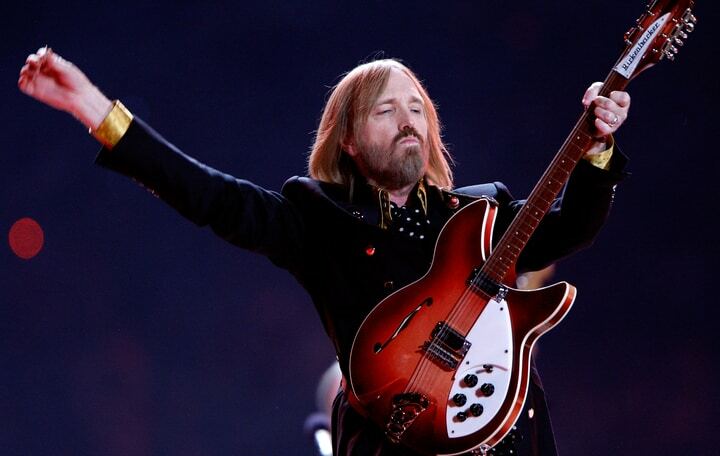 It takes a boss to headline the Super Bowl halftime show the year after Tom Petty gave a flawless performance. It wasn’t just any mediocre man who stepped up to the challenge, though – it was The Boss. Bruce Springsteen and the E Street Band headlined the show in 2009, and, predictably, knocked it out of the park. Springsteen executed a fantastic show, but not without sacrificing a couple of “close friends.” In a power slide across the stage, The Boss (and his crotch) crashed into the camera just as the band built up to blast a note in perfect harmony. The timing was so painfully on-point, it almost felt staged. When Prince graced the stage in ’07, he made sure to flaunt his funk, his junk and his fashion. Of course, all three elements included plenty of purple. 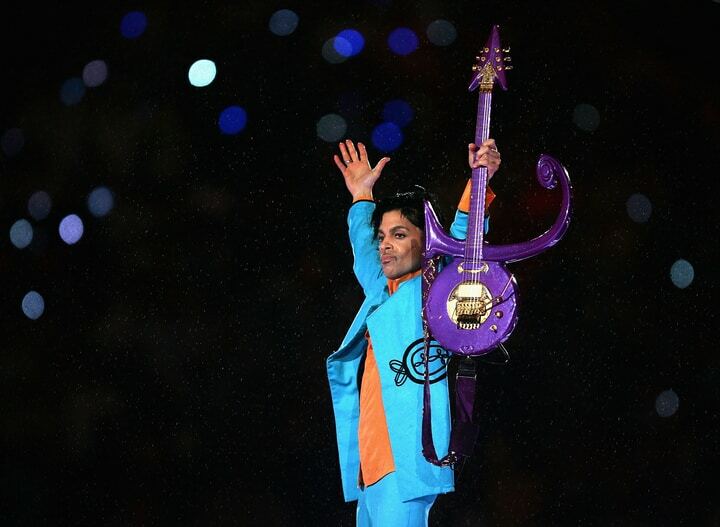 Prince’s outfit, his signature guitar, the stage, and even the weather were purple. As Prince stood alone on his extravagant purple throne, rain came pouring down. That may sound like a mood killer for most concerts, but not this Super Bowl halftime show. The colorful precipitation was the perfect complement to Prince’s hit song – what else – “Purple Rain.” The show couldn’t have gone any better. A big entrance is everything when it comes to making a memorable first impression. But Diana Ross switched things up and left a lasting impression with her absurdly excessive exit. After delivering a slew of Motown hits during the ’96 Super Bowl halftime show, Ross concluded with an extravagant exit. 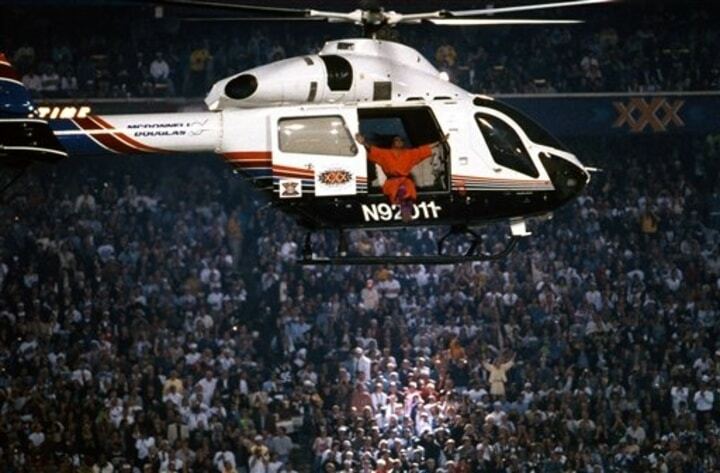 After she sang “Take Me Higher,” Ross hopped onto a helicopter and took off through the open roof. It’s safe to assume the song choice was not a coincidence. It’s also safe to assume everyone knew the diva had left the building. Diana Ross may have had a flashy ascent with her helicopter exit, but Lady Gaga had an equally dramatic descent as her entrance. The moment that Gaga’s Super Bowl halftime show began at NRG Stadium in 2017 was dramatic bliss. Her performance truly reflected the insanity of Super Bowl LI. The Princess of Pop began her show on the roof and descended to the stage with only a harness attached. In this moment, Spider-Man has nothing on Lady Gaga. It’s weird, terrifying, uncomfortably hilarious (seriously, she looks like an actual spider wriggling her way down) and super impressive. She just jumped right in like a woman on a mission. Good gawd, lady legend. Straight. Goosebumps. No matter how smooth we think we are, we are all Left Shark sometimes. 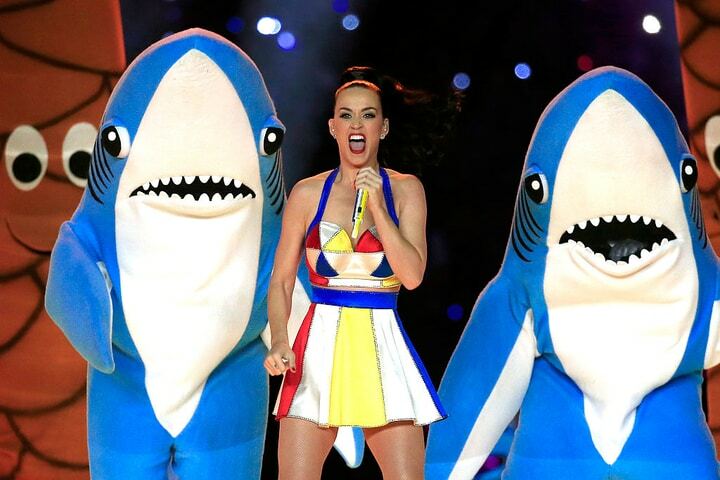 Katy Perry’s 2015 performance delivered many memorable moments, but none greater than the lovable Left Shark. No one could have guessed that while the gorgeous Katy Perry performed her smash hit “California Gurls,” the world would be fixated on a goofy backup dancer in a shark costume. As KP sang, we watched anthropomorphized palm trees, beach balls, surfboards and sea critters dance in unison to the sweet sounds. Everyone except Left Shark, who was always a few 8-counts behind. And we’re all better humans because of it. Everyone knows Michael Jackson’s legendary moonwalk dance move, but far fewer could name The Mannequin. Okay, that’s probably because it doesn’t exist. 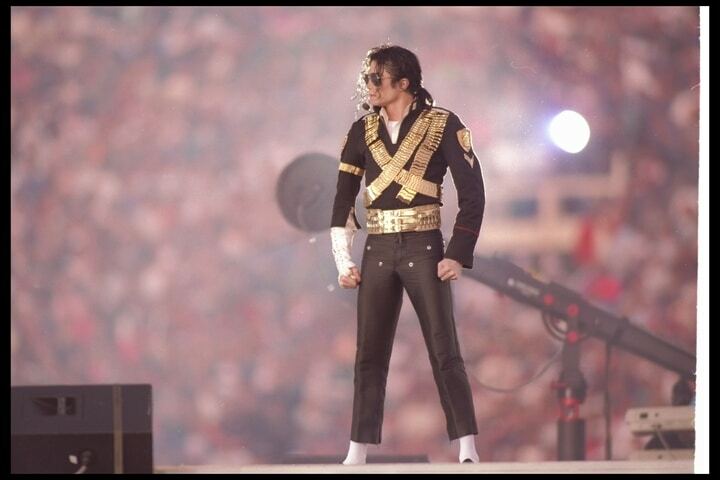 Still, MJ’s stoic entrance to the 1993 Super Bowl halftime show was truly a marvel to behold. After two pseudo-Jacksons popped up above the scoreboards on either end of the stadium, MJ appeared on stage. The crowd went wild in anticipation, preparing for an unforgettable show. Little did anyone know, the King of Pop took the art of standing still to the next level. Jackson delivered the performance of a lifetime, playing the role of… a statue. He literally did not move for 90 seconds before performing. If that doesn’t sound difficult, imagine how Jackson felt, standing alone on stage in a packed football stadium. Millions more fans were watching from home as he stood completely still. With the energy of the audience surging, MJ managed to pull off an impeccable performance. The English language underwent two major changes in 2014. Before Super Bowl XXXVIII, the phrase “wardrobe malfunction” was pretty much alphabet soup, and “live television” actually meant live. Today, a wardrobe malfunction means “you weren’t supposed to see that even though maybe you were” and live television means “slightly delayed.” The credit for these changes goes to Justin Timberlake and Janet Jackson, of course. The ’04 Super Bowl halftime show featured a heavyweight lineup: Jessica Simpson, Janet Jackson, P. Diddy, Kid Rock and Justin Timberlake. But the public has forgotten everything else about that year’s show. All that’s left is the memory of Timberlake “accidentally” ripping off a piece of Jackson’s bra, exposing her to the world. When the two performers and their PR wizards apologized for the indecent exposure, they classified the mishap as a “wardrobe malfunction.” It was such a notorious moment that Merriam-Webster legitimately added the phrase to its Collegiate Dictionary. 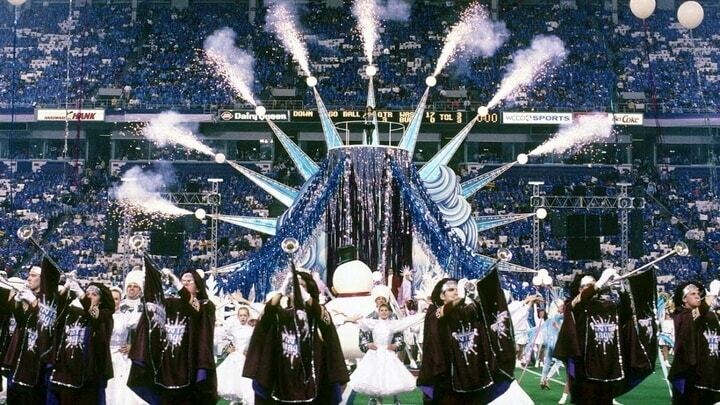 If you liked these memorable Super Bowl halftime moments, share this list with a friend!